Just a little fashion inspiration, New Year new start and all! 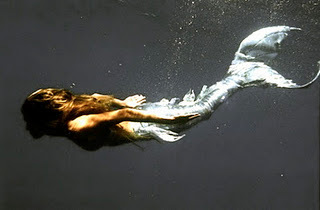 I'm fully aware a mermaid picture has nothing to do with fashion but it’s so pretty I couldn't help but post it! While I’m here I thought I would share with you some of my new year’s resolutions. I’m not usually one to make a new year’s resolution but this year I couldn't help myself. New Year, new look. My hair has become dull and boring so this year I vow to experiment more and try new looks. So expect to see a lot more pictures of my tresses as I go crazy and experiment with new looks. Post better content to my blog, stop posting rubbish [like this] and start taking better photos and writing better quality reviews. I feel the same about my hair as you do with yours! Naturally a brunette and dyed my hair bright red last year. I stripped it a few days and am hoping to go blonde next month! i will let you both know how my resolutions go.